Cooking on the cheap shouldn't mean minute rice and buttered pasta every night. With a little creativity and a little planning, Catherine Lamb shows us how to make the most of a tight budget -- without sacrificing flavor or variety. Today: Here's why you should always have a bag of frozen peas in your freezer. I am only slightly exaggerating when I say that frozen peas have saved my life. At the very least, they have saved my sanity. Because there are some nights -- okay, most nights -- when all I want for dinner is mac and cheese. I should not be eating said mac and cheese as an entire meal because I am an adult and should be eating green things, as green things are good for my insides. I know this. More: Follow along as Catherine makes macaroni and cheese without a recipe. Here's where frozen peas come in: When I'm facing a monochromatic dinner, I reach into my freezer and add a few handfuls of these sweet little vegetables. Suddenly, I've got bright green speckles; I've got freshness; I've got health. Plus, rightly or wrongly, they are the only vegetable I feel genuinely good about buying frozen (Amanda's with me). They're exponentially less pricey than the fresh peas you find at your farmers market come spring, and they're available year-round. 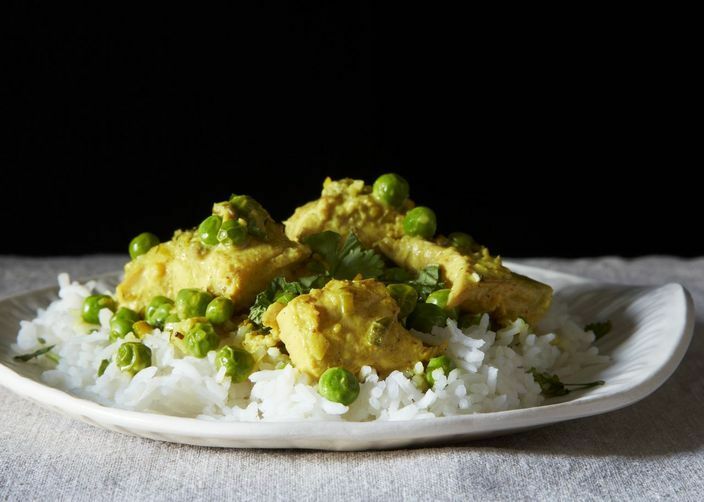 Curry: Though it might not be 100% authentic, peas are a natural fit with curry. Their subtle sweetness complements curry's heat, and they add a pop of freshness that helps nudge the finished product away from being too rich. Plus, you don't even have to let the peas thaw before you toss them into the pot. Try adding a few handfuls to a fish, chicken, or vegan curry. Pasta: Frozen peas are here to make eating pasta and cheese for dinner a decision you can feel proud of. Thirty seconds before you drain your noodles, add some peas into the boiling, salted water. Turn that pasta into cacio e pepe, carbonara, macaroni and cheese, or even straight-up butter and noodles. I've also added peas to baked ziti with marvelous results. 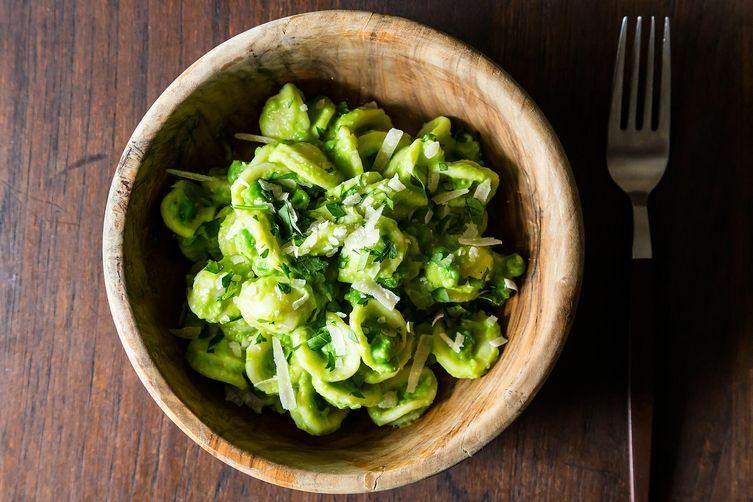 For the ultimate lazy bones pasta dinner, remember the four P's: pasta, pesto (preferably homemade), peas, and Parmesan. Toast: Forget beans on toast -- peas on toast is where it's at. It's a perfectly legitimate way to turn toast into dinner (which you should be doing anyway). I like to toss some frozen peas in a saucepan with a splash of water, a pat of butter, and a clove of garlic, then let everything get melty and friendly. I smash the warm mixture on buttered toast and top it with herbs or dollops of ricotta. More: Smashed peas want to be your next Not Sad Desk Lunch. Eggs: Frozen peas and eggs are two budget ingredients that are meant to be together. 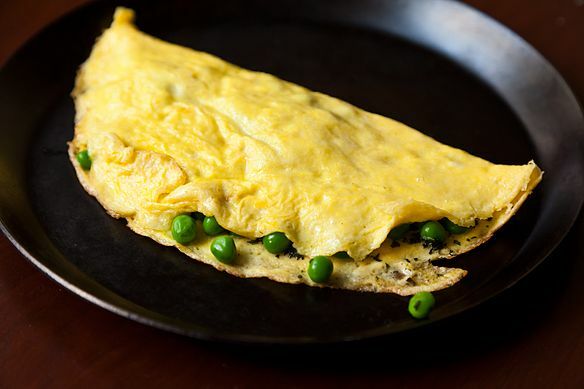 Tuck some thawed peas into an omelet or add them to scrambled eggs. For a dinner party-worthy meal, sauté frozen peas with bacon and stock, then crack a few eggs on top. Cover the pan and cook until the egg whites are set and opaque. Toast up some staling bread, rub it with a clove of garlic, and dig in. 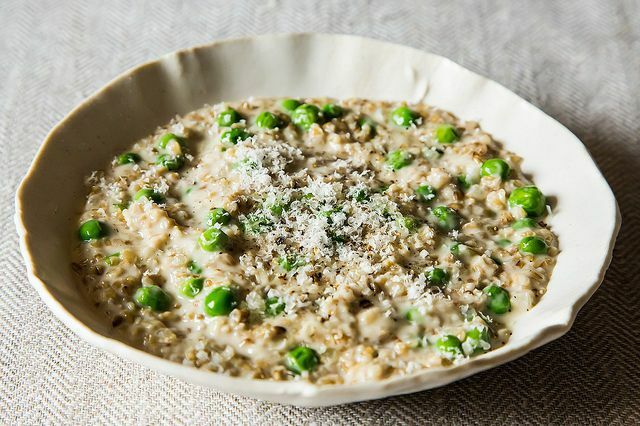 Grains: Peas take risotto from brothy-y, cheese-y rice to a perfectly legitimate (and may I say elegant) meal. If you're on a tight budget, use straight-up rice in lieu of the more traditional Arborio. Or, skip rice altogether in favor of oatmeal or farro. More: Follow these 5 steps and you can make risotto with whatever odds and ends you've got. Spreads and dips: Blanch your peas (or put them in a bowl with a splash of water and microwave them for 1 minute), then place them in a food processor or blender with a splash of lemon juice and a pinch each of salt, pepper, and your favorite spices (I like cumin and za'atar). Pulse the whole mixture a few times, until it looks slightly creamy with a few remaining pea chunks. 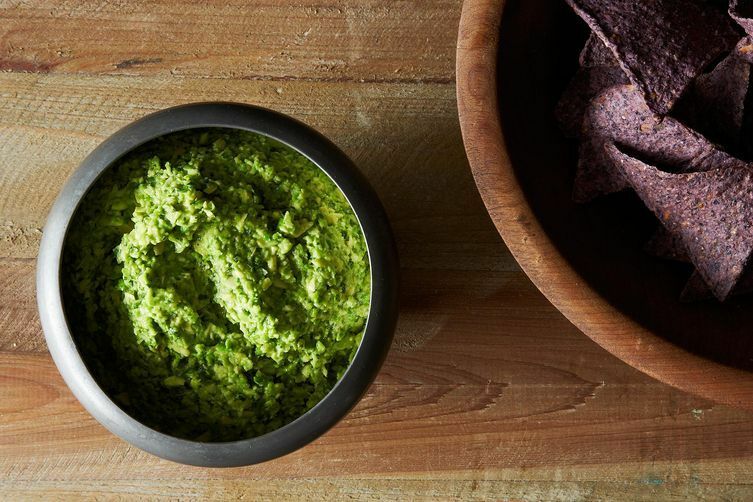 Smash some of this spread with an avocado for a sweet twist on guacamole, or stir it into your hummus and go at it with carrots and pita bread. Dessert? I'd love to make a dessert starring frozen peas (pea sorbet? pea pudding?). If you have any ideas, please send them my way. How do you like to use frozen peas? Share with us in the comments below! I do use other frozen veggies , however a large Costco bag of organic peas is always in my freezer and at the ready for me to grab a handful. I also like to make a salad with greens, maybe some bacon, red or green onion, and peas, lightly cooked, with parmesan, a dab of ranch dressing and generous fresh ground pepper. Frozen peas with pasta, a little garlic and red chilie flakes, Parmesan, toasted pecans, and white truffle butter is one of my favorite quick dinners. So there are others like me ? The only frozen veggie used and always stocked is the frozen pea. They are regularly called to add to mac and cheese, shephard's pie, turkey tetrazzini (family favorite for Thanksgiving leftovers), and the recently featured Aristotelian Rice and Peas article by Nicholas Day - it's a good one! I ate this pasta dish from Jerusalem for dinner last night -- http://www.orangette.blogspot.com/2013/06/told-you-so.html -- and it is incredible, frozen peas and all! I LOVE that recipe! I've made it many a time myself using frozen peas. It's never let me down. What about making a minty pea ice cream? Somehow with some sort of sweetness I see this working. I am after all a veg-o-phile. Yes. Yes yes yes. That makes sense, since peas and mint are friends already. You need two bags of peas in freezer. One, for all purposes listed here. The second, because a bag of frozen peas is THE BEST thing to use when you need to ice an injury (to reduce inflammation, etc.). Try it, you'll see. See? Peas are both nourishing, cheap, AND good at nursing injuries! They really are the best. I meant to add-many years later, I picked up the Scorsese Family cookbook-a little gem of a cookbook from Martin Scorsese's mom. Seek it out. There was my mom's recipe exactly for eggs poached in peas. My mother had learned it from her Italian American in-laws, and as a pea lover she took it as her own. Don't know how the Italians sorted this one out-however, they were masters of stretching any vegetable with eggs, scrambled usually as in potatoes with eggs, peppers with eggs, zucchini with eggs-or poached as in this treatment. I also keep a few cans of Leseur peas in my pantry. I grew up with them-they're delicious, I consider them the finest canned vegetable, and the only one I eat, and do so regularly. 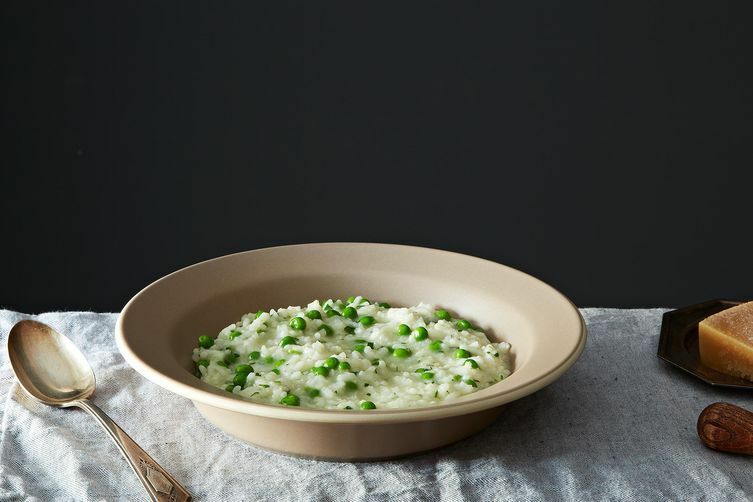 Pasta with peas, or the Italian rice with peas, is significantly augmented with the addition of Leseur peas, and the water from the can. My mother would sauté a little onion in olive oil, throw in the Leseur peas, and then poach two eggs gently in the liquid. Some crusty bread, and she and I would have a Saturday lunch together-two peas in a pod. I'll have to try these! If they're good enough for Martin Scorsese, they're good enough for me. I get really nice frozen organic peas at Trader Joe's, and I also love their frozen artichoke hearts, which are the only other vegetable I am happy to buy frozen. Oooh, great idea! I'll have to try those -- do you prefer the frozen artichoke hearts to canned ones? I much, much prefer them to canned! They have a much fresher taste and a much better texture. They make a great quick pasta sauce by sautéing them with onions and garlic and then cooking them in canned tomatoes while the pasta boils. 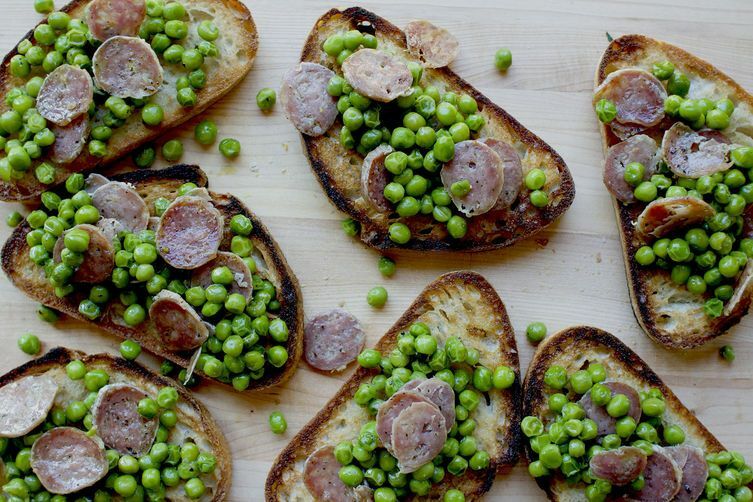 Loving the peas on toast idea! Are there any brands you could recommend? I typically buy Trader Joe's brand, and don't taste a difference between those and the fancier brands that are organic and artisanal, etc. Make sure you get regular peas and not petit pois, which are smaller and not as satisfying, in my opinion.